Five and a half years after announcing the end of violence, ETA unilaterally handed over their remaining weapons to the French authorities in an act last weekend. It is a landmark that, although late, will be important to return political and social normality to the Basque Country. 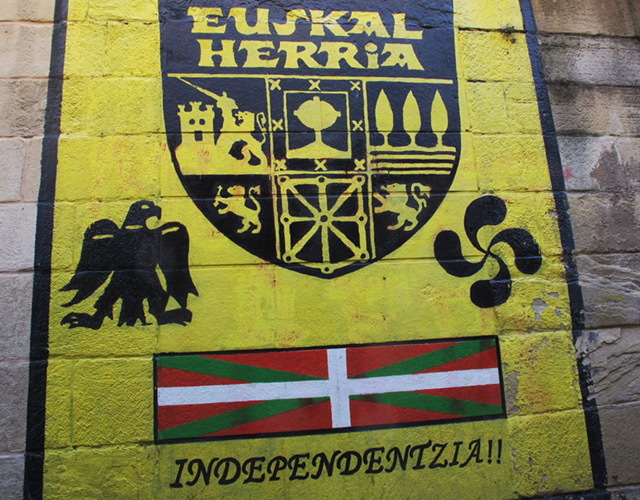 Although the move was welcomed by Basque society, its clear that the final goal has yet to be fully achieved: the total dissolution of the armed group that during 43 years of activity caused more than 800 deaths in the name of Basque independence. ETA’s defeat was inflicted mainly by the Spanish and French security forces. But at the same time, the struggle of a civil society that increasingly refused to accept the use of violence to achieve political objectives was also crucial. However, the absence of an official peace process in the Basque Country, such as in Northern Ireland with the IRA or in Colombia with the FARC, adds to the difficulty of achieving such purposes. Despite clearly supporting the peace process in Colombia, PP does not show the same tolerance within its own territory. Acting in a narrow-minded way, instead of defending the general interest, the PP has not only refused to collaborate but has even obstructed the peace process in the Basque Country. For decades, the conservative party has tried to use ETA’s violence to garner political support in their hard-line opposition and consequently continues to take no part in peace negotiations. In order for Basque and Spanish society to finally close the chapter of decades marked by bloodshed and violence, it’s vital that both sides are willing to move on from the violent past. If, on one hand, ETA must take the final step of apologising for the atrocities committed, it would be, on the other hand, beneficial in facilitating the closure of the peace process if Madrid changed its penitentiary policy in dealing with ETA prisoners and recognised victims of violence carried out by the State itself.